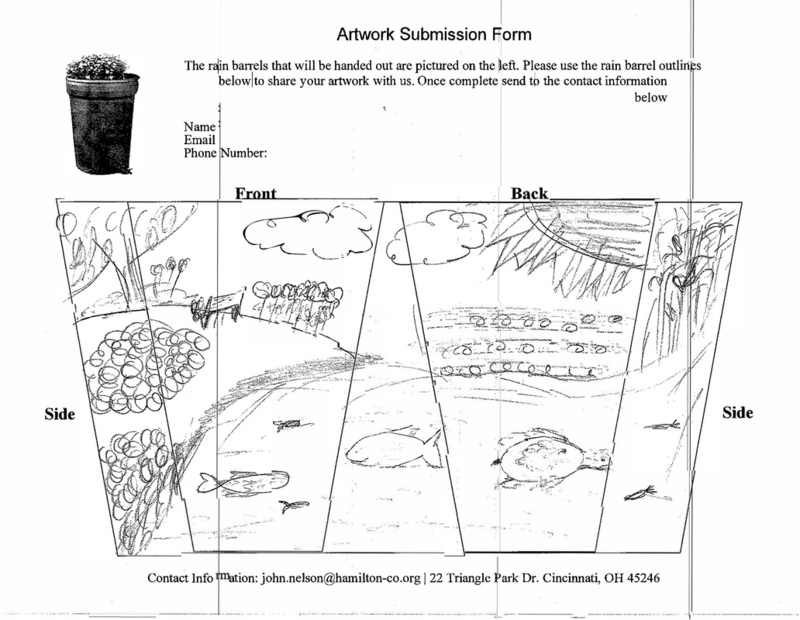 The design form must be completed and returned for your entry to be considered. Please stick to the template as closely as possible. Refer to the sample submission below. Please use the colors you plan to use on the rain barrel. "Rough sketches" as pictured below will not be accepted. Once completed, please email (john.nelson@hamilton-co.org) or mail (1325 E. Kemper Rd. #115 Cincinnati, OH 45246) your entries.